Common sense tells us driving at night is more difficult than driving in the daylight. Darkness reduces our field of vision (including peripheral vision), our depth perception and our ability to distinguish colors. Driver fatigue is also a contributing factor. The question is, what can you do about it? 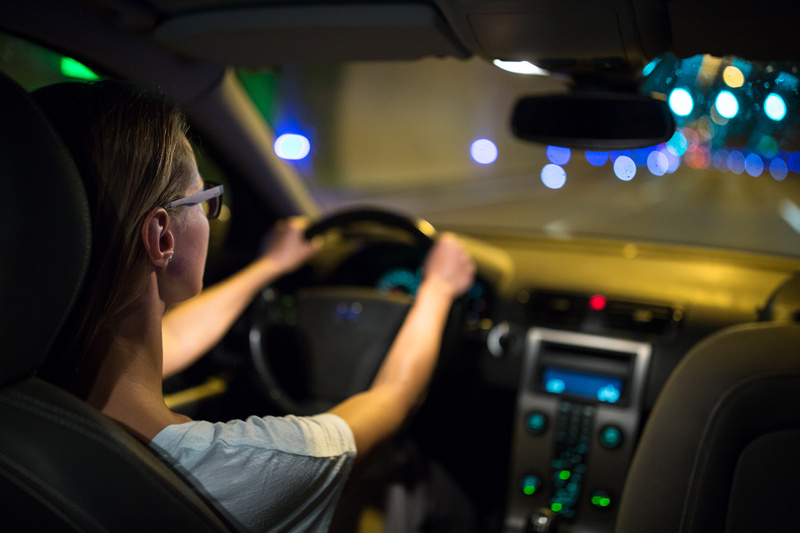 The following tips can make night driving easier. 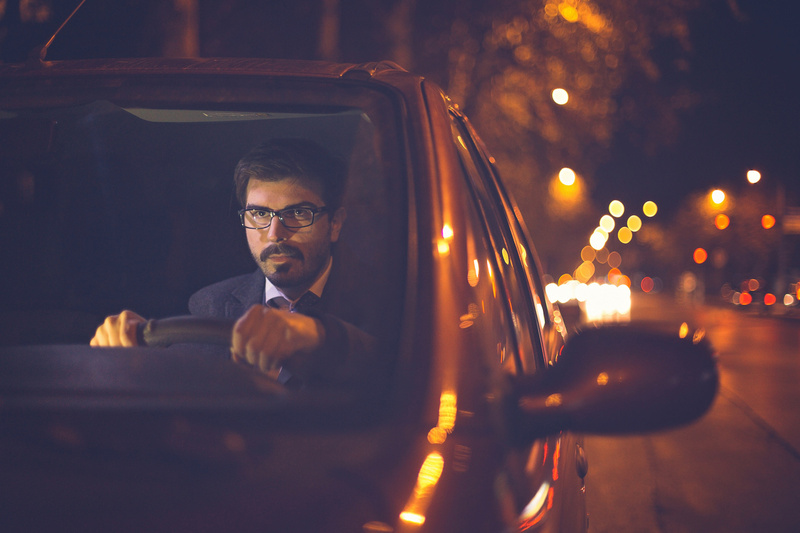 Headlights from oncoming traffic can cause glare and impair your vision in the dark, so naturally, you’ll want to avoid staring at those lights. If you’re having a hard time seeing the road, take note of the white line marking the traffic lane’s edge on the right side of the road. This will help keep you on course. Do not, however, constantly stare at that line (or the middle yellow dividing line) while driving at night. Keeping your eyes focused on those lines for too long can “hypnotize” a driver and reduce awareness. 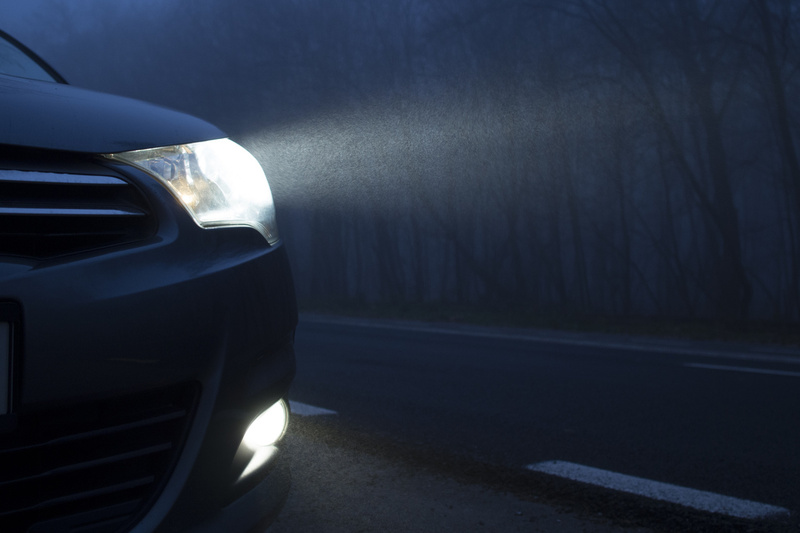 Your field of vision will grow wider and deeper when using your car’s high-beam headlights in the dark, but that doesn’t mean you should turn your high beams on at dusk and keep them on until dawn. Drivers should use high-beam mode only when traveling in very dark areas with low visibility and—most importantly—when there is no car immediately in front of you and no oncoming traffic. As soon as you see another car's taillights or the glow of approaching headlights, be sure to turn off your high beams to prevent distracting other drivers and impairing their ability to drive safely. Windshields that appear clean by day may show streaks or smudges in the dark that will create a halo effect around lights and make it difficult to see at night. Your windshield will smudge if you touch it with your skin, so professional car detailers often use newspaper to clean the interior windshield surface. A cotton or microfiber cloth will also work to clean the inside of your windshield, which can be easy to overlook when cleaning your vehicle. For the windshield’s exterior, check that your wiper blades are in good condition and not cracked. Always be sure to use windshield wiper fluid rated for sub-freezing temperatures. This fluid has some anti-freeze liquid in it (that’s usually why it’s blue), as opposed to using just water, which can freeze in your lines if you live in a cold climate. 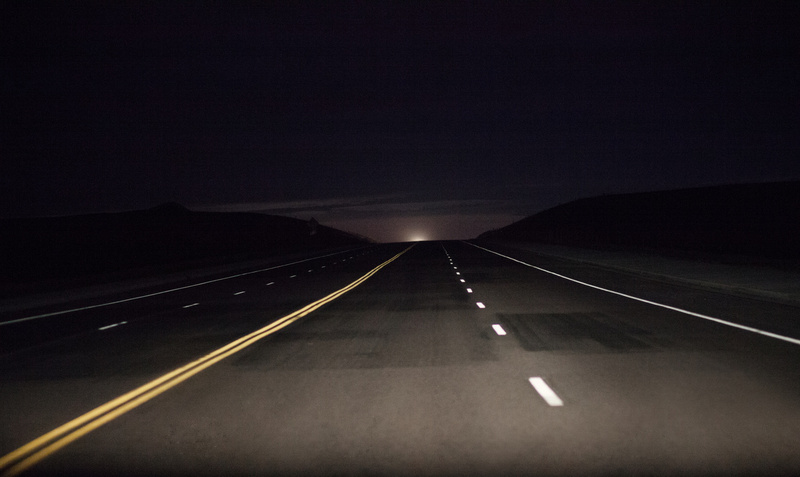 Most drivers realize their night vision is impaired when the overhead dome light is left on. But if the dashboard displays are too bright, this can also limit a driver’s forward vision in the dark. Most vehicles come with a dash dimmer switch. 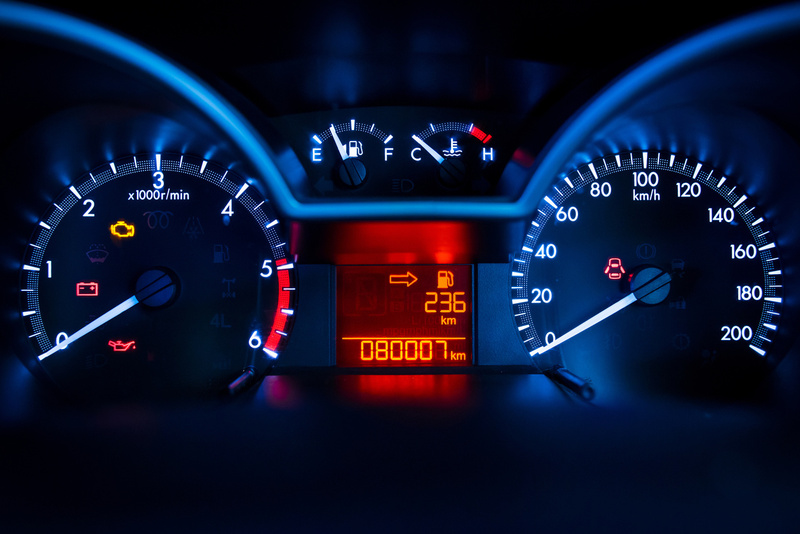 Make sure to locate yours and keep the dash at a low glow when driving at night. If you live in or travel through rural areas on dark country roads, you will most likely be sharing the road with some animals. 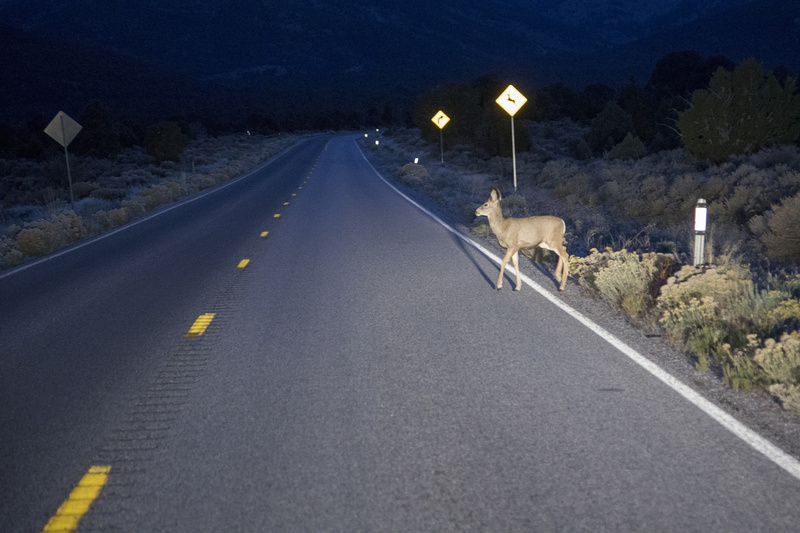 Larger animals like deer and moose can be hard to spot even if they are in the middle of the road—be on the lookout for the reflection of your lights in the animal’s eyes. If you see a pair of tiny bright spots in the road ahead of you or you happen to see the entire animal, slow down as quickly as possible without endangering yourself, your occupants, or any vehicles that may be near you. Trying to steer around the animal is often futile, because it is likely to follow your vehicle’s lights, and swerving is one of the leading causes of accidents due to wildlife encounters on the road. Driving in the dark presents some challenges, but nothing that can’t be overcome with some knowledge and planning. You just need to know what to look for, where to keep your eyes and how to prep your car for driving at night. What Do I Do with My Totaled Car?